How Often Is the Wall Street Journal Published? The Wall Street Journal is published daily in the United States. This newspaper is also available daily in the United Kingdom and Asia. The Wall Street Journal's publisher is Dow Jones and Company. The Wall Street Journal was started in 1889. Although it started out as a small newspaper, today its daily circulation is over the two million mark. The paper is well-known for reporting on business and financial news. It also covers other topics, such as technology, travel and sports. 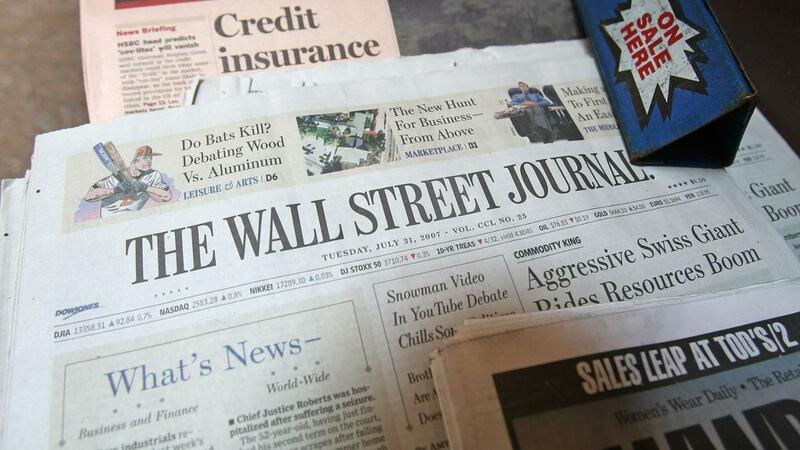 There is an online version of the Wall Street Journal that has over one million subscribers. The Wall Street Journal has won over 30 Pulitzer Awards between 1947 and 2013. What Is the "British Medical Journal"? Where Are Math Papers Published? What Are Some Popular Magazines for Men? Where Can You Find the Current Price of CSX Railroad Stock Online? How Do You Buy Shares of Stock?